carfax report = 0 get_carfax(WDDHF8HB6AA195867, N, 2019-04-22 03:27:49|0, autos, autoID, 1237) -- 980 Security Violation. 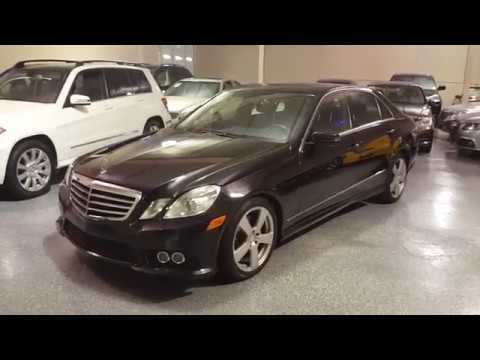 2010 Mercedes E350 4Matic Sport, Black with black interior, All Wheel Drive, 93K miles. Previous Certified Pre-owned by Mercedes. Power moonroof, factory navigation and backup camera, factory bluetooth, AUX & USB connectors. Heated power memory front seat, power tilt and telescoping steering, automatic climate control, stability control, rain-sensing wipers. AMG Sport body styling, sport suspension, paddle shifters for manual shifting, 7-speed automatic trans. 18-inch 5-spoke sport wheels. Excellent service history (See CARFAX). EXTRA CLEAN! Select Motors, LTD. has been visited 13,719,012 times.